Whether you’re at the beginning of launching your social and SEO campaigns or have been running one or the other with subpar results, understanding how social and SEO marketing campaigns inform and benefit each other is crucial for success. Leave it to the experts here at Citywide to help break it down for you. While social media marketing does not impact your site rankings directly, utilizing social media can help give your SEO wings and works to help with the awareness and consideration phases of the marketing funnel. For example, when you’re sharing content on social media you’re making those who follow your page aware of activities, providing a platform for engagement, and potentially bringing interested visitors to your site. You may also be fostering brand affinity and trust, which may lead the interested party to google your brand, and end up on your page. How Do I Know When That Happens? Understanding these stages of the funnel can help you with collecting data around how effective your social media marketing is. It can also help elucidate what resonates best with your audience and what hooks bring you new visitors. When you have the information and engagement on social media, it can also increase backlinks and referral traffic which will help organic rankings as well. Want to segment out those users who have visited your site due to social media, and then have come back through organic search? Here’s how to set up the right segments. The proper Google Analytics segments, as well as a clear understanding of goals, can help you make appropriate benchmarks. For instance, if you aren’t currently seeing a high turnover of social to organic traffic, you may want to analyze the SEO friendly content pieces you’ve seen takeoff and try to adapt them to be more social friendly, or take a hard look at pieces that have done well on social but not converted to analyze what’s missing. Many SEO strategies focus solely on content creation and backlinks – while these services are impactful, it’s important to make sure you’re taking the next step in your marketing strategy and distributing that content on social media and through paid promotion. The more engagement and visibility your content receives, the more helpful it will be for you as you continue to improve SEO. Why doesn’t Google Consider Social Signals in SEO? It’s a fair question. It would almost seem like Google would benefit from including social signals and social media presence in its organic ranking algorithm. Luckily, there’s this great video from Matt Cutts from Google to help with that very question. 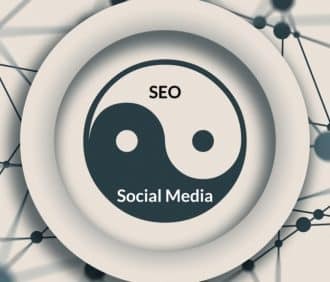 So, while social media may not directly impact SEO in the traditional sense, it can help your brand with visibility, increase organic visitors, and in turn show Google your website’s popularity. 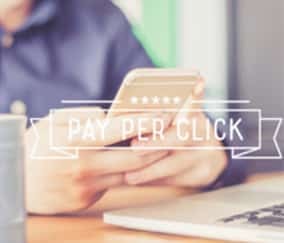 This is also an incentive to up your content marketing, and create engaging pieces around terms you’re interested in ranking for so that when you do see pieces take off, you get the additional lift of your keywords as well. As you develop a strategy, it is important to understand how each marketing channel will help your audience, from a positive experience on your social media profile to a meaningful interaction with your website, to a conversion that helps your bottom line. Want help executing an awesome social media and SEO strategy? The team at Citywide SEO can help make this year the best for your business and you. Reach out today!